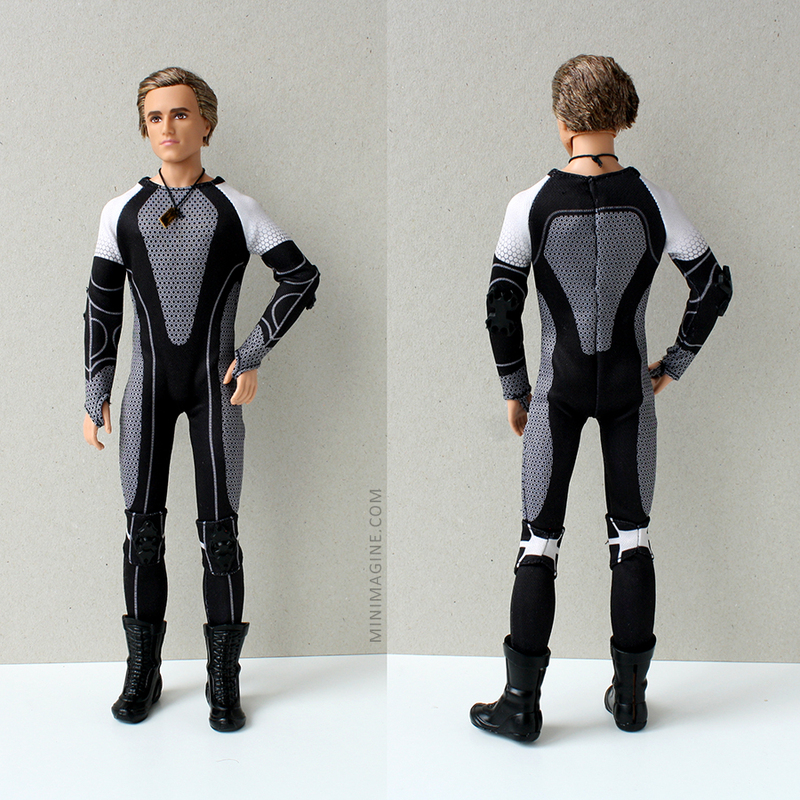 My new male doll is "The Hunger Games Catching Fire Peeta". I don't know this movie series, I only saw a quarter of one movie (and I even don't remember which part it was). So for me it is an articulated Ken in an useless outfit. Quite handsome though. His boots are not bad (for upcoming winter). Would you believe that he is Black Label collector doll? There is not any velcro or clasp on the back! To undress this guy you have to partly unstitch his suit! 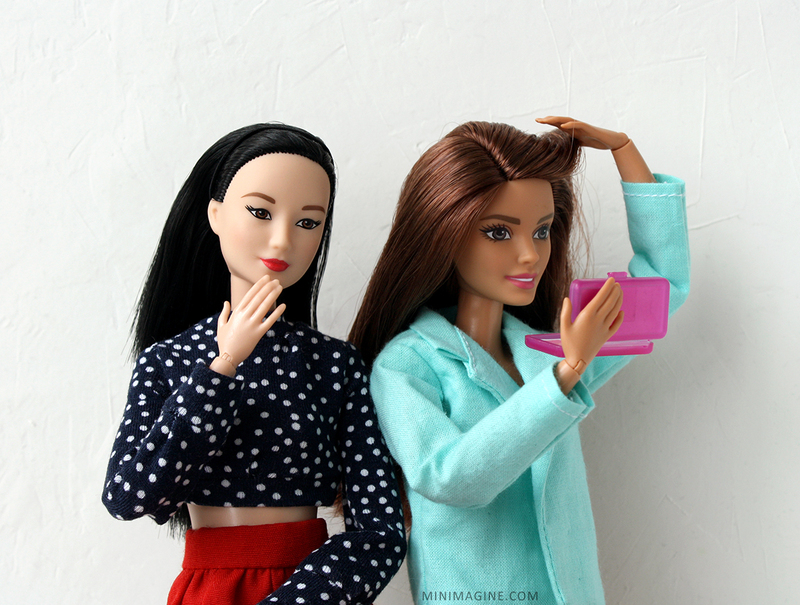 Mattel, I don't understand it. 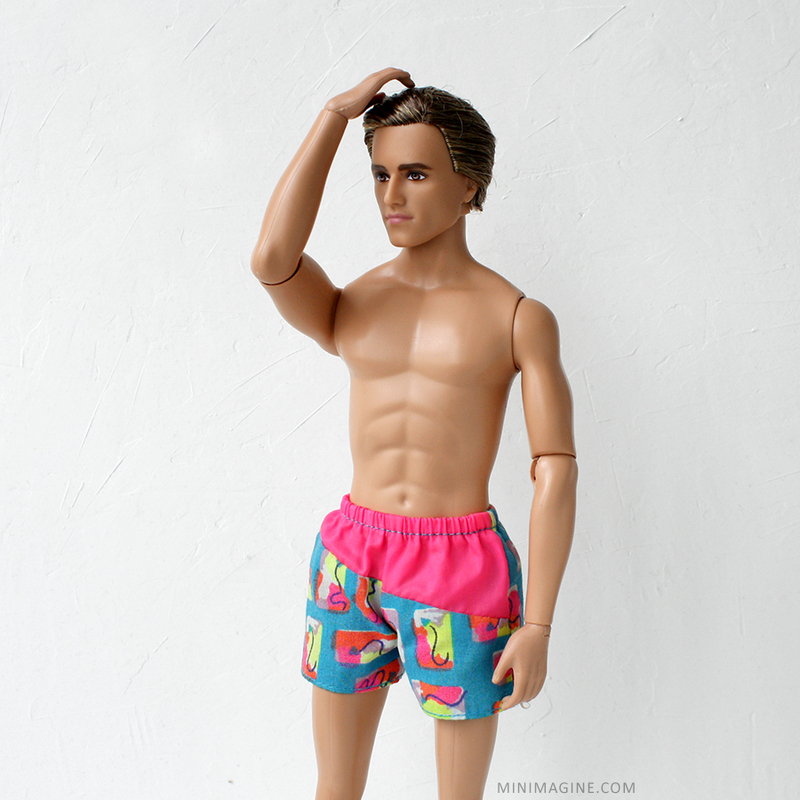 Unfortunately, the only clothing I have for male doll are the shorts from beach Ken I had in my childhood. Peeta is not very happy. Oooh Congrats! I have this male doll too except I am turning mine into the Tenth Doctor from Doctor Who. I also have the Katniss from the same series that I am turning into Lara Croft. I love the face screening on these Black Label dolls. They're really different and I think personally well done. Looking forward to seeing what you do with your boy. What kind of style do you think you will have him in? Thank you. I like his face too. I bought him because of this face and articulation (far from MTM but the best from Mattel at present). The challenge for me is to provide to him some clothes! How do you find his knees? Mine came with a very loose knee. Not sure how to fix that on these dolls. Knees of my Peeta are good but ankles are very loose and hips are quite loose. I didn't try but I heard that you can use some paper/wood glue (it should not glue plastic parts together but make them tighter). Yes, congrats on getting a 1st wave Peeta! He is very handsome isn't he! I don't know why Mattel sewed on his clothes - I guess they thought that since he is a "Collector" series that people wouldn't want to change his clothes! So wrong. There is another male character from the 1st wave of the Hunger Games movie. His name is Finnick. His clothes are much better and come with velcro closure's so you can remove his clothes. His look a lot like something he might wear for skiing. That is how I use them. 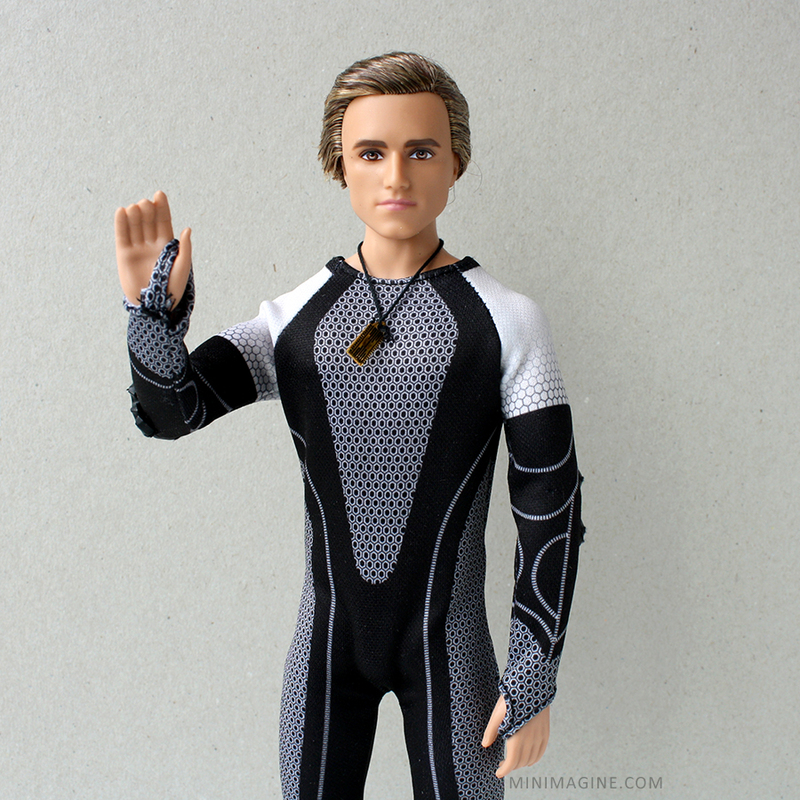 Wave 2 has another Peeta whose hair is more blonde and a little shorter. There is also another guy in wave 2 - Gale. He is really handsome. 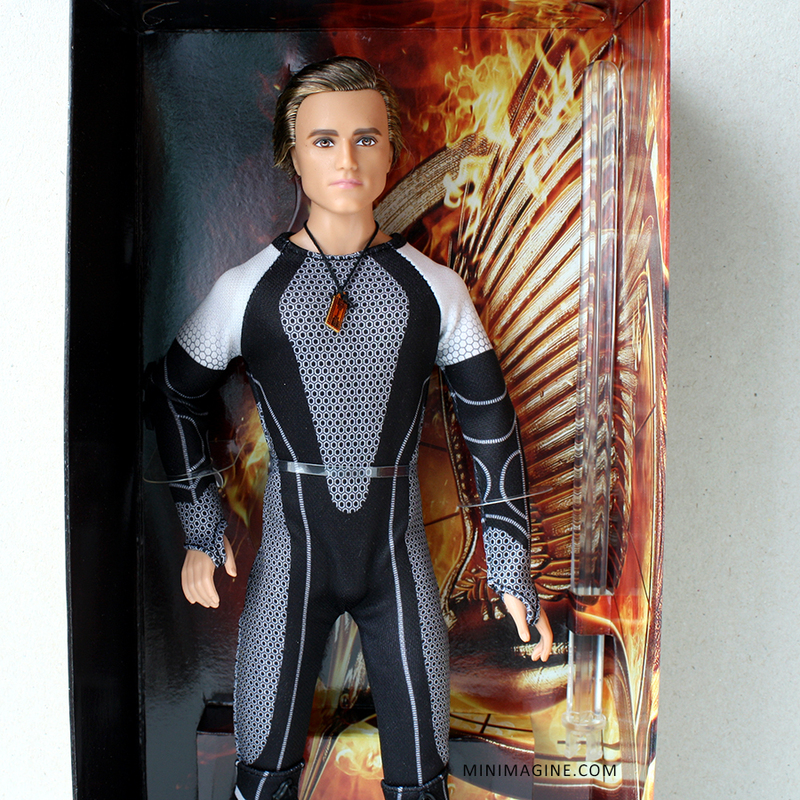 Is in the likeness of Liam Hemsworth who played Gale in the movies. I think the wave 2 clothes are much better made and do come off. Anyway, I think your girls look like they are excited to have a nice looking guy come in to your collection. You may have to get the other guys so the girls aren't fighting over them! Apply varnish to tighten the knees a little bit. There are tutorials on youtube on how to apply it. Hi!! I have him too! czytałam książkę! mam wrażenie, że było więcej części i też do nich zajrzałam (na pewno nie do wszystkich), ale nie pozostawiły żadnego śladu w mojej pamięci. Obie serie są fajne, bo Mattel wyprodukował chłopaków, którzy mają wreszcie fajne twarze ;-) Książek, z których pochodzą, nie znam. Co do współpracy, to mój egzemplarz ma niestety luźne kostki i dość luźne biodra. Poza tym nie jest źle, choć to nie jest pozowalność typu 'made to move'. Aktualizacja: jednak słabo siedzi ten lalek. I ręce mu się mało zginają. Jednak przyzwyczaiłam się do pozowalności co najmniej Momoko.